Viking has been a partner for us here at easyfundraising for many years now, working closely with us to help good causes raise more. So far over £265,000 has been raised for our good causes through the generous donations offered by Viking but that’s just part of the story. While all of our partner retailers do an amazing thing by offering donations to good causes, Viking goes the extra mile when it comes to helping out. From free donation giveaways for deserving causes to sponsoring our charity team day, Viking is all about raising more. In addition to the money raised through shopping, Viking has also given away an amazing £11k over the years to our causes and supporters. Back in February, Viking donated £100 to 5 causes via our Facebook page. The winners included Angela Day who supports Edie’s Butterfly Appeal, Joanne Palmer who is fundraising for her daughter’s World Challenge to Ecuador and Beryl Prendergast who raises money for Reuben’s Retreat. 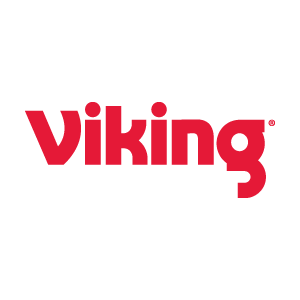 Viking is also committed to rewarding our users who shop with them with regular double and triple donations throughout the year to help them raise more for their cause. In fact this week when you buy your ink, toner, stationery, office furniture and much more, you’ll raise three times as much as Viking has tripled donations to 7.5%! So a big thank you to Mahesh, Carl, Rick and the rest of the Viking team and here’s to raising even more for our causes in 2015!